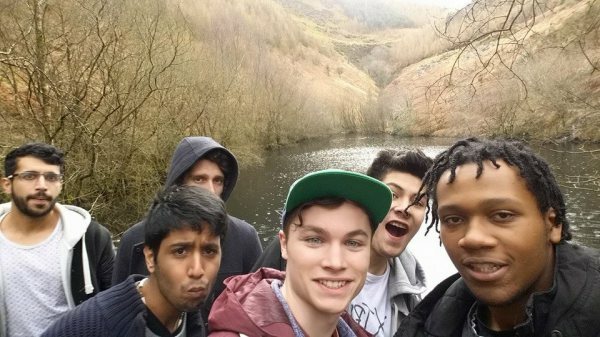 In the photo to the left you can see a man made resivour behind some tourists, this is what the site in wales use for its power and water supply. Firstly they allow gravity to let the water flow down to the site, which is approximately 30m, with each 10 meters there is 1bar of pressure so at the C.A.T site there will be 3bars of pressure. This water is the pumped into a turbine which generates electricity, this is due to magnets turning within a surrounding magnet, creating a current. The electricity then powers the site, because 3bars isn't a lot, the site hasn't enough to produce the same amount of electricity that we have at home, but the positive side is that it is sustainable. 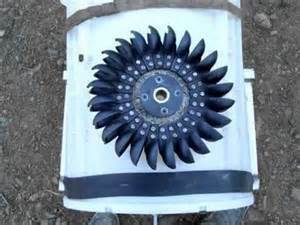 The turbine is made up of small paddles which allow the water to force a circle motion. The paddles are curved and this is to get the optimum force from the water, if they wasnt curved then there would be wasted kinetic energy which would be changed into potential energy. 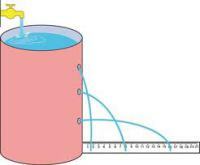 The photo shows that with less height to travel the less pressure there will be and that conforms with the equation. 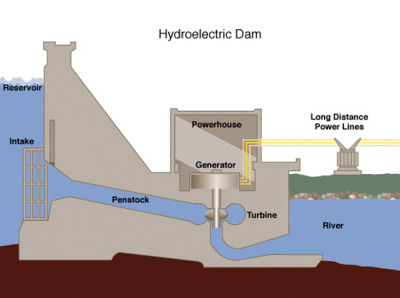 This is an example of a Dam which uses the flow of water to turn a turbine, this is the same idea as the CAT site yet this is on a larger scale. The Dam will have a straight run of to the turbine because with curves or kinks on the waters run it will lose Pe (potential energy) meaning less energy is put out. 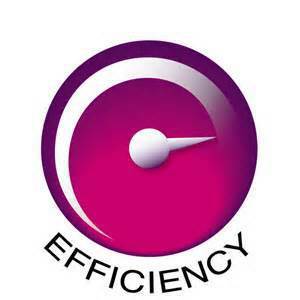 The efficiency of the turbine at C.A.T. is about 33% and this is due to the given output divided by the input times 100. this is because there is a ratio which is present. We worked it out via resistors and physics equations, following the process of the potential energy, into kinetic energy and then the actual power output.